Failing the PMP® Exam is a negative experience, which I would not wish upon anyone. After teaching PMP® Prep for nearly 10 years, there is nothing more rewarding than receiving an email from a student, saying, “thank you; I passed the exam”. Unfortunately, occasionally a learner will reach out to say that they didn’t pass the exam. Fortunately, this is a very rare occurrence. However, when this does happen, it is as devastating for me as it is for the learner, and a part of me says, “what did I do wrong? Is it the material I used? Was my instruction method flawed?”. It is strongly recommended that a learner scores at least 85% on a full-size practice PMP exam. Many learners take short pop quizzes composed of 20-50 questions, score well on those, and then determine that they are ready to write the PMP exam; this is not the case. Solution: Other than the obvious (preparation), do as many questions as it takes to get you to the 85% threshold. PMP® Exams are random; some are easier; others are more difficult. Also, different exams have a different focus. Some exams focus more on change management; others on mathematical calculations or procurement. Depending on your familiarity with a knowledge area this could be one reason for failure. Solution: Eliminate the possibility of having a “weak” knowledge area by mastering all knowledge areas. Let’s be honest; math can be challenging for some PMP® candidates. This is quite understandable if you don’t work in a field which requires you to crunch numbers on a regular basis. Some learners devote an unnecessarily large amount of time to memorizing the EVM formulas. Solution: Don’t spent any more than 10% of your study time on memorizing EVM formulas. Brain dumps usually include EVM formulas, profit forecast calculations, and contract types. 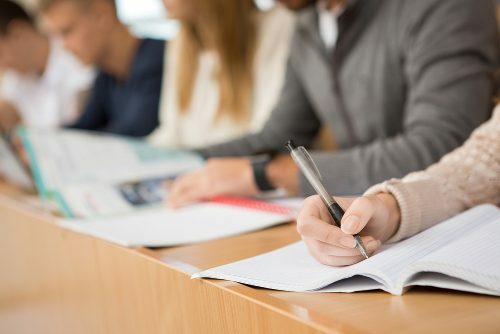 Most PMP® trainers recommend that students memorize various formulas and factoids, and write them out in the exam room prior to starting the exam. Writing out the brain dump is essential as it relieves the pressure from focusing on memorization and allows the candidate to focus on the PMP® questions instead. Solution: Access a well-developed brain dump from a reputable trainer. Frequent second-guessing of your final answer on the PMP® Exam is either an indication of having insufficient knowledge or sheer hesitation caused by stress. Waddling between two answers is frustrating and a bad use of time. Solution: If knowledge of exam content is not an issue, choose the answer which strikes you as being the most likely at the first instance. If knowledge is the issue, you are not ready to be writing the PMP® exam, and consider doing more practice questions. Written by Emil Tarka MA, PMP, Founder and Lead Trainer @ Tarka Consulting Inc., a Registered Educational Provider (REP) with the Project Management Institute (PMI).